Geoffrey Lurie Probate Solicitors Newcastle – Can We Help You? We understand that dealing with the aftermath of the loss of a loved one can be a difficult and sensitive time, whether you are the Executor of a Will or a Personal Representative. Especially when no Will has been left or there is uncertainty about where the last Will can be found. Geoffrey Lurie Probate Solicitors Newcastle provide specialist legal advice and practical assistance when dealing with the Estate of someone who has passed away. Please call us now for immediate advice on 0191 466 1444 or complete a Free Online Enquiry and we will be delighted to explain how we can help you. 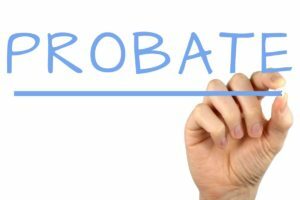 The probate team at Geoffrey Lurie Probate Solicitors in Newcastle have huge experience in administering estates of all shapes and sizes. We offer a flexible service which is tailored to suit the needs of the Personal Representatives and the estate as a whole. This might be advising on a particular issue, preparing the application for probate, or dealing with the entire administration of the estate from start to finish. We are here to help you as much or as little as you need us. Where beneficiaries of an estate wish to alter the distribution of the assets, whether for tax purposes or personal reasons, we can advise regarding the suitability of entering into a Deed of Variation. We are also able to provide advice regarding the administration of trusts. All initial enquiries are without obligation, so please call us now on 0191 466 1444 and ask to speak to our expert solicitor or complete a Free Online Enquiry and we will soon be in touch with you.